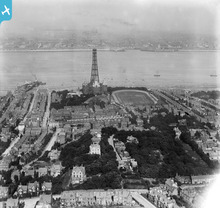 New Brighton Tower from an unusual direction during it's dismantling. Have lived on the Wirral most of my life. Mainly interested in and know about the Dee side. 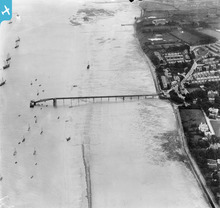 Have been fortunate to fly over the Dee / Wirral on many an occasion - and take photos. 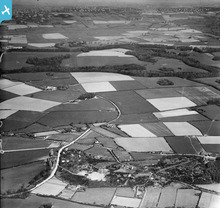 Another one of the Irby area. No sign of the cricket club but there seems to be some sort of holiday camp on the other side of the road. Bell tents and swings. Great to have a Wirral group. I like this view of Irby just on the cusp of expansion. 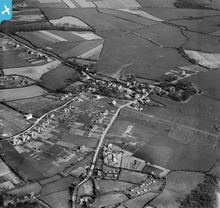 This must have been a similar situation for most of that area, Pensby etc. I came across your group and noticed that some people were a little unsure about which images to use on here. I just wanted to reassure you that you're doing absolutely the right thing! 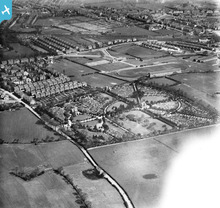 I'm pleased to see that you have found images of Wirral in the Aerofilms collection and it's absolutely okay to collect them all in this group and pin them just like Inniebear did. This is what the website is all about! You are very welcome to upload any other pictures that relate to Wirral in here as well. As long as you make sure, like Inniebear said, that these images' copyrights allow you to do so. If you have questions about the copyright, check out the 'FOI and Legals' link at the bottom of the page. I hope you enjoy browsing the site and discussing the images you find! "I didn't really have a plan, in truth. I just noticed we didn't have a Wirral group. You could always watermark your images, but personally, I won't upload any image I don't mind being copied." 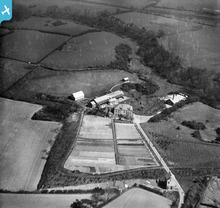 So what you seem to be uploading are pictures from the library of the site we have joined? 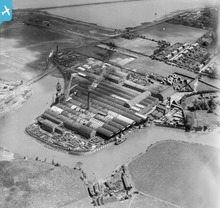 The year before Bidston Dock, to right, opened. The Penny Bridge can be seen. 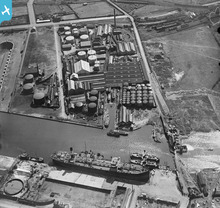 The graving dock, at the extreme left of the photo, is still extant as part of the resurgent Cammell Laird company. That's brill. What I've been doing is adding pins to show landmarks, to help people get their bearings. 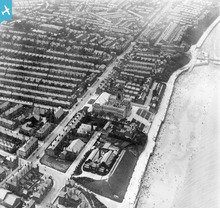 Brighton Street, Wallasey between Brougham Road and Church Street. Hi Inniebear, what is your plan? 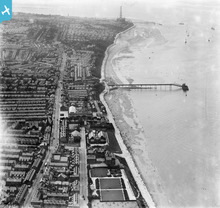 Build up an album of old to present day Wirral pics? If so how do we protect our pics? Can they be uploaded so as not to be copied? I didn't really have a plan, in truth. I just noticed we didn't have a Wirral group. You could always watermark your images, but personally, I won't upload any image I don't mind being copied.